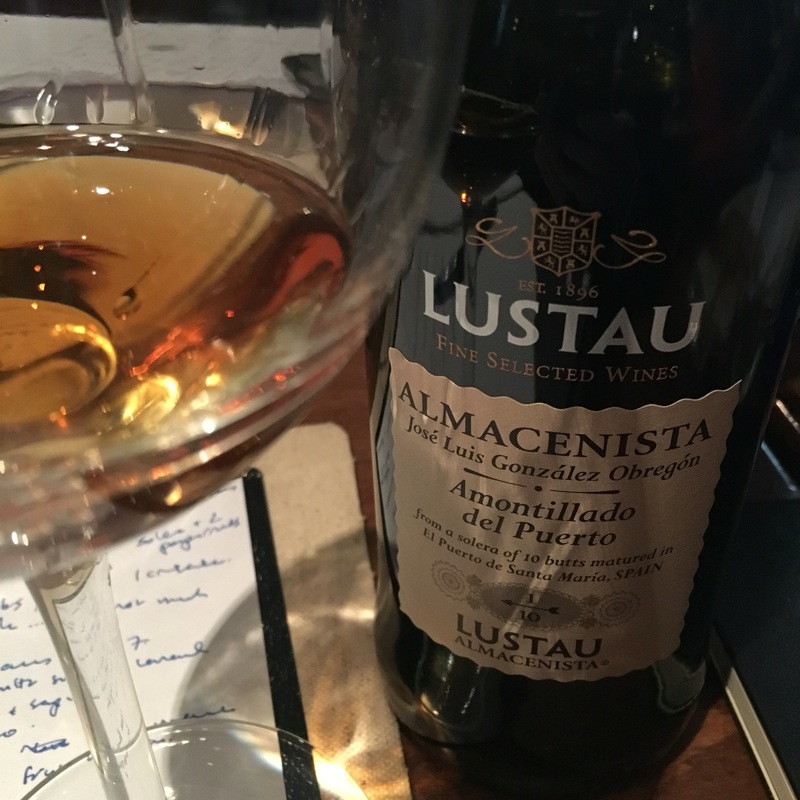 Next up in the tasting of Lustau Almacenistas was the amontillado from the Almacenista José Luis González Obregón in el Puerto. From a small solera of only 10 botas this, likes it’s Sanlucar cousin, is a 12 year old amontillado with five years under flor and seven years of traditional ageing. This was slightly deeper and richer in colour, a touch of reddish horsechestnut to it. Comparing the noses, this was slightly more honeyed and nutty, and had that hint of burnt butter that I associate with amontillados (ever since it was pointed out to me by Tom Gauterin – thanks Tom). On the palate it had more muscle too, nuts and caramel, a big explosioon of zingy salinity and alcoholic heat and then long, fine finish. A bigger, tastier, more muscular wine.